I am sorry that I managed to watch the pro-choice Republican Senator Susan Collins of Maine justify her vote in favor of Judge Brett Kavanaugh’s confirmation to be the next US Supreme Court justice. 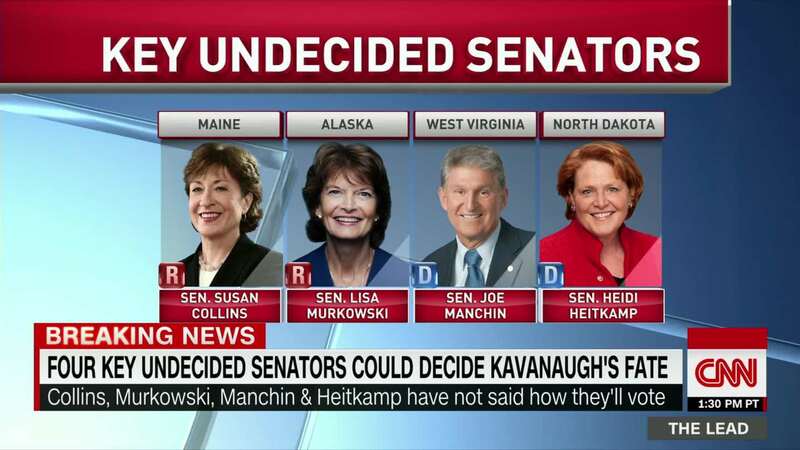 Senators Jeff Flake (R-AZ); Joe Manchin( D-WV) have confirmed that they will vote yes, as well. It is my opinion that if you say you believe Dr. Christine Blasey Ford allegations, then I find it hard to justify Senator Collin’s decision. Those blaming Democratic folks for leaking letter by Dr. Christine Blasey Ford based on crass political motivations, does not change her truth as stated in her own words. It’s not as if Senator Collins’ republican colleagues have clean hands when it comes to the politicization of the US Supreme Court nomination/ confirmation process. But it has been a nightmare for “we the people” to watch this Supreme Court nomination/ confirmation process. There are no winners here. Dear GOP lawmakers, there has been the politicization of the Supreme Court nomination/ confirmation process by both the Democratic and the Republican Party lawmakers. While we watch you point fingers at the other side, all I can say with certainty is that you’ve done nothing to improve the process since the year 1991, the year of the Anita Hill/ Clarence Thomas saga. What else that I know for sure, is that women will be looking to hold both sides accountable for what went wrong here. If Democrats win the majority of seats in the US Congress, I want a proper investigation done starting with subpoenaing to make public everything you all knew about Judge Brett Kavanaugh’s sexual indiscretions/ drinking binges from 1982-1992, before Dr. Christine Blasey Ford went public with her allegations that she was sexually assaulted by a drunken Judge Kavanaugh and his friend Mark Judge around 1982 when they were all in high school. I’ve never gotten over how Judge Kavanaugh’s GOP backers were able to deliver to the press within hours after Dr. Ford went public with her disclosures, a supporting letter signed by 65 women who knew him during his high school years. In addition, it bothered me that Senator Ben Sasse went public early on in the process stating his wish that GOP leaders had selected another judge to be the US Supreme Court nominee other than Judge Kavanaugh. What did he know? We all know that the 6 previous FBI background checks probably did not go back much more than 10 years or age 18 unless there’s a red flag somewhere. So I’m not impressed by this number. What has left an impression on me is the debacle of this supreme court nomination/ confirmation process that I have witnessed for weeks. I and many other women will not forget this. This is a time where winning could be a losing proposition. Time and history will tell us the rest of the story. Dear Readers, Please take time to thank Senator Heidi Heitkamp who stands to lose her US Senate seat as a democrat in the very red state of North Dakota and the GOP Senator Lisa Murkowski of Alaska for their courageous no votes regarding the confirmation of Judge Brett Kavanaugh to the US Supreme Court. i have to share. Thanks Gronda. This is a let down but now we women have to send a loud and clear message that the GOP Congressional lawmakers hear reverberating in their brains located you know where. This will be a major motivator to get out the women’s vote for November 2018. Well said Gronda. I’m saddened beyond words regarding the outcome of the last two weeks, but just as Anita Hill did, Christine Blasey Ford has inspired thousands of women to confront and speak their own truth, including me. My post of last Thursday was one of the hardest things I’ve ever done, but I’ve felt so much better since then. It’s more important than ever that Democrats and Independents get out and vote next month. Polls are showing that Trump’s base is stronger than ever and are poised to come out in droves to vote. If we’re to have any hope of changing things, we can’t let this one lost battle to defeat us. You are so brave to have shared your story. It helps to let others know that with trauma, some memories are highlighted while other details are forgotten. This is normal. Thanks for your courage to take this step. There are too many women who have experienced some kind of sexual trauma in their lifetimes but men do not suffer this nearly as often, so they don’t get how this effects the victims. With the case of Judge Kavanaugh it is a case of him having been a Washington DC insider since the Bush years where many of the senators know him personally. They can’t imagine that someone they like and admire could be guilty of having sexually molested Dr. Ford. Women who have dealt with being sexually abused by men know that many of these guys look great to others. They forget about guys like J. Dennis Hastert who was the longest running House Speaker who was beloved. I can’t help but wonder if a page had come to them early on to complain about being molested by the Speaker, would they have believed him or would they have thought that he was confused? We both know the answer to this one. Well their one time beloved speaker turned out to be a serial child molester who served jail time. I think that I’ll do a blog on this story. Thanks also for taking time to contact lawmakers. 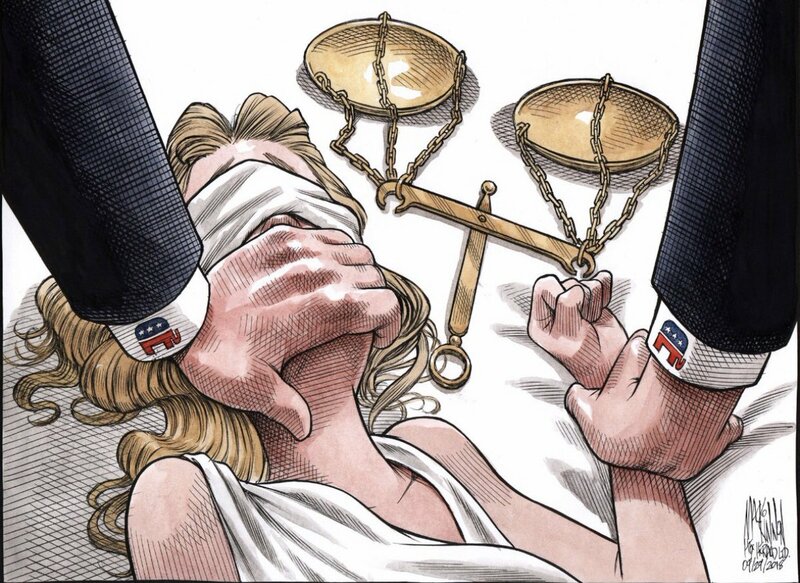 They’ll come to regret this decision and I’m convinced that Dr. Ford will be vindicated. We women are not accepting this world where we have to put up with being treated like potted plants for them to pxxs on. Let’s make them pay attention on November 6, 2018. Thanks Gronda. I just saw it and replied. Until today, while I disagreed with Collins on many things, I still respected her. That changed with her self-serving speech this afternoon.